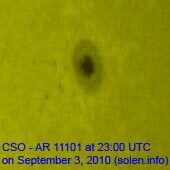 Last major update issued on September 5, 2010 at 04:25 UTC. 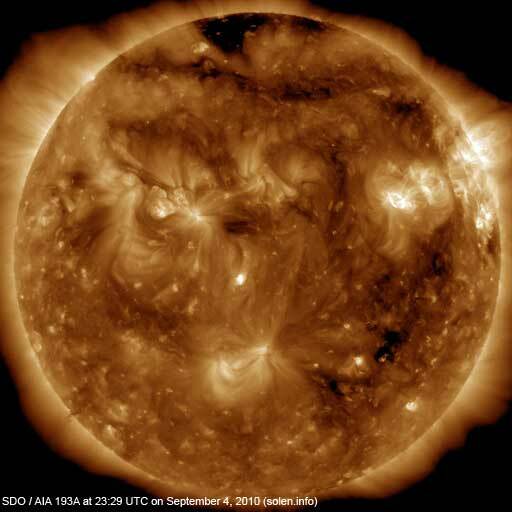 The geomagnetic field was quiet on September 4. 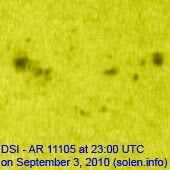 Solar wind speed ranged between 313 and 365 km/s. 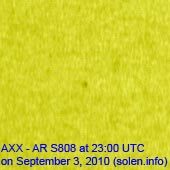 Solar flux measured at 20h UTC on 2.8 GHz was 82.2 (down 0.4 over the last solar rotation). 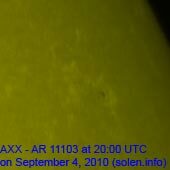 The planetary A index was 3 (STAR Ap - based on the mean of three hour interval ap indices: 2.6). Three hour interval K indices: 10001121 (planetary), 00001101 (Boulder). Region 11101 was quiet and displayed no significant changes. 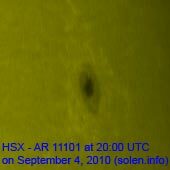 Region 11103 decayed and is rotating out of view at the northwest limb. 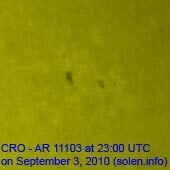 Region 11105 developed further adding many small spots. C flares are possible. 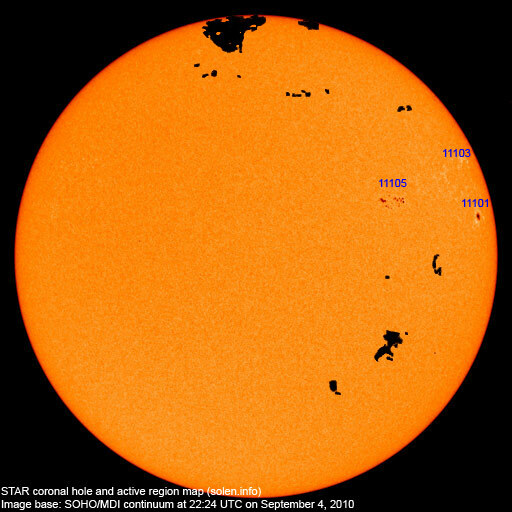 September 2-4: No obviously Earth directed CMEs were seen in LASCO or STEREO images. 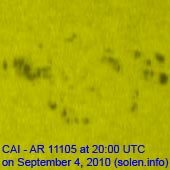 The geomagnetic field is expected to be quiet to active on September 5 and quiet to unsettled on September 6 due to effects from CH420. Quiet conditions are likely on September 7-8.